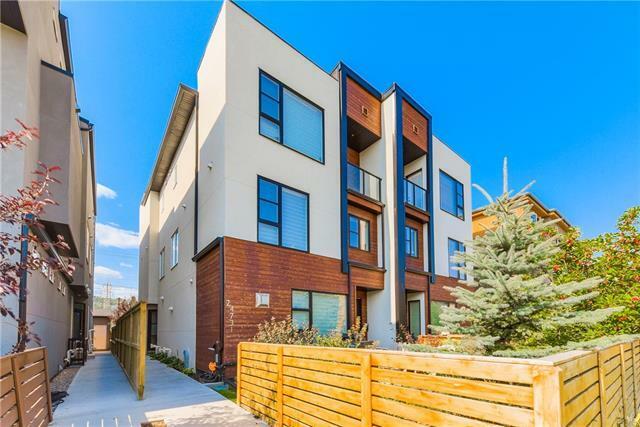 #1 4731 17 Ave NW. 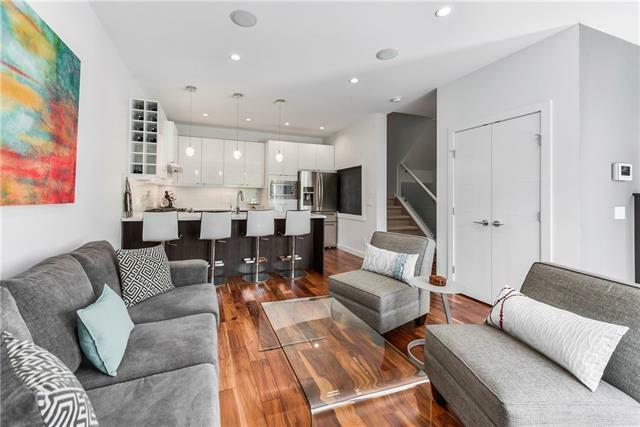 Modern, chic 3 sty inner-city gem. Beautiful, open concept living. Rich hrdwd thru main lvl. Bright great rm w/gas FP & huge window w/built in window seat w/extra storage. Chefs kitchen features 2-tone high gloss white upper cabinets & espresso stained lowers, quartz countertops, stainless steel applics incl gas range & lrg quartz extension that seats 4. 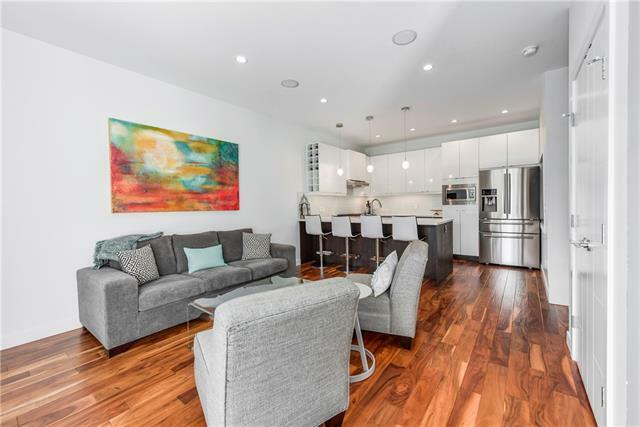 Stunning 3rd flr mstr retreat complete w/priv balcony & walk-in closet w/wood built-ins. Luxurious spa ensuite w/10mil glass/tile rain shower, sep deep soaker tub & dual vanities. 2 generous bdrms, full 4pc bath & convenient laundry complete 2nd flr. Lower lvl is fully finished w/huge media/rec rm w/focal point brick feature wall, full 4 pc bath & extra storage. Many extras incl ceiling speakers, flat over height ceilings & more. Beautifully landscaped & fenced private front courtyard. 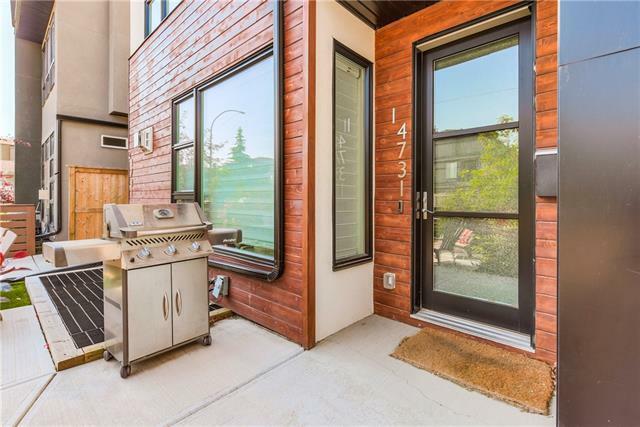 Minutes to DT, Foothills & Childrens Hospital & U of C. Steps to river pathways & quick getaway to the mountains.